The one song I like best in this record is Chhalia mera nam. Trickster is my name. And my profession is to play tricks on people. (Or so the backcover says). I googled the name a while ago, and much to my surprise a clip came out. Images. Of an old B&W movie. A face to the words. I should’ve known there was a movie. 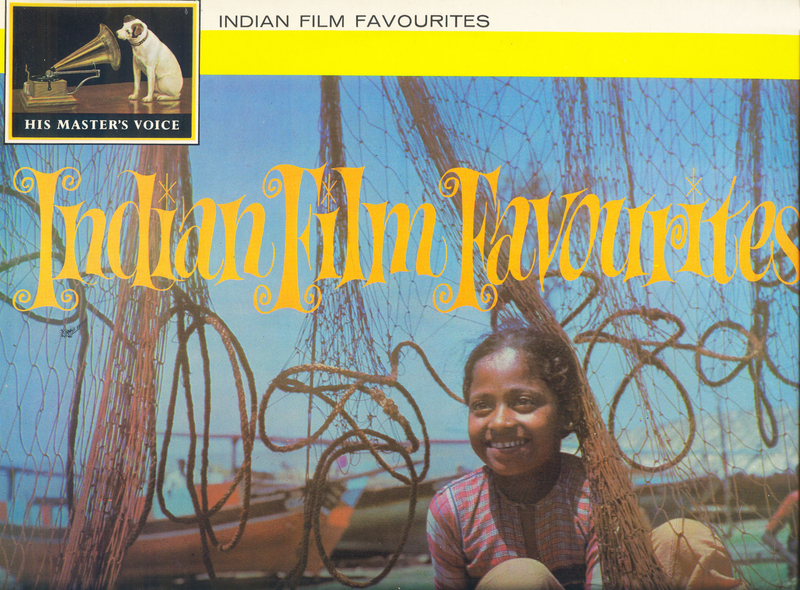 The cover did say “Indian film favourites”. 1960. Only a breeze away. Look at the clip. it’s only 3 mins something. Watch closely, especially if you don’t speak Hindi (is it Hindi? Help me out there). There is such fun, such joy. It is worth it! My salutations to all, Hindus, Muslims, Sikhs and Christians alike. ← Ancient Indochina. Part 4. Yes it is Hindi. And the actor is Raj Kapoor. He tried hard throughout his career to emulate Charlie Chaplin! We are always amazed by the reach of his songs. One titled ‘Awara’ was apparently the rage at the time in Russia, and even after so many decades, we have had people in Greece, Turkey and the middle East proclaim their love for the song! Brian: I JUST found your blog. For some reason, I couldn’t access it from my own blog. Anyhow, re: “shifted a lot” I was just discussing this phrase the other day. It sounds so funny to my ears. What South Asians mean by this is moving around, going from one place to another, right? 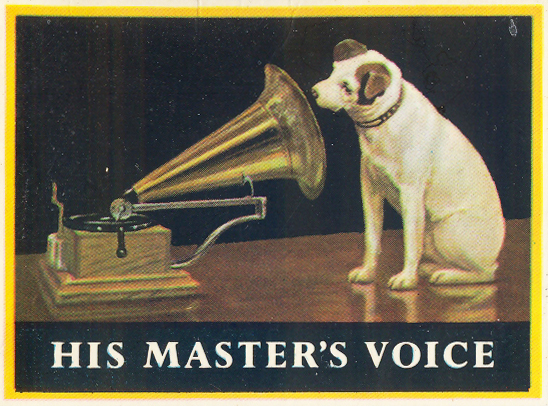 :) I recognize that logo from childhood: HMV. Alaknanda o you of the mghty river. I am very glad you found your way into Equinoxio. 😊 “shifting” is a word I just learned from reading blogs by Indian friends. Love the word. Both correct and weird! Makes me smile every time I read it. 😊 hence the liberty I took of using it! They used to play indian movies at the cinemas out here, back in the day. ‘Yaadon ki baaraat’, ‘Awaara’ – for example – are well-known to our generation. Italian and french movies too, such as the Bud Spencer or Louis de Funès series. Not anymore. American garbage is all over the place. Indian movies? Colombian telenovelas? You sure you live in Romania and not in NeverNeverLand? Oh yes, Star Trek – that was a great series! Richard Dean Anderson tried to get up to par with his ‘Stargate SG1’. Leonard Nimoy, the pointed-eared Vulcanian… May he rest in peace! Indeed. And as the Prisoner would have said: “be seeing you”! Louis de funes of course. La grande vadrouille con Bourvil. But “jeux d’enfants”? Brigitte Fossey? Jeux d’enfants avec Marion Cotillard et Guillaume Canet. 😉 It’s such an unusual love story and more so bearing the unique footprint of the french cinema. I probably relate to it due to my own (unfortunately unfulfilled) story. Same goes with ‘Pyaar impossible’ where the script and even the little girl Tanya resemble frighteningly much to events and people in my own life. Except that for me there were thirteen years, not seven. And obviously there was no happy end for me. I remember Fernandel from childhood movies, as well as Alain Delon or Jean-Paul Belmondo. It still moves me when I hear ‘A toi’ or ‘Et si tu n’existais pas’ with Joe Dassin. By the way, there’s a great digital mix of Helene Segara and Joe Dassin singing ‘Et si tu n’existais pas’ on YouTube. Wow Dragos! Looks like we’re in the same Twilight (time) zone! 😊 i’m in the street right now. Will get back to you. Anyone who still remembers Fernandel (don camillo?) has to be an alien! It takes a lot of doing to get the western ear round the subtleties. Thank you Col(onel) (did you see you’ve been upgraded?) 😊 your comments are all the more appreciated as they show you read my ramblings closely. Have a nice week-end with your grand-dayghters in the last outpost of the Empire! Upgraded, but only in a general sort of way? I guess that as we move towards spring you are drifting into Autumn? Not such a major sort of trouble as general right? I enjoy when music speaks of peace… thank you for sharing about this music. A lovely film, Brian, well clip…I think I’ve been too traumatised by too many night trips on Indian video buses in the 1990s to ever truly appreciate Indian music or cinema. Must try harder. you should try songs that were released before 1980, if you like the songs that Brian is talking about, I rarely listen to songs after 1980, very seldom are magical. you have good instinct of music Brian, that song is from raj kapoor movie and he without doubt has left some magical (read a truckload) songs for us, his lyrics, tune everything was awesome. Plus a number of material issues to solve. Hope Hyderabad (of the Hind) is treating you well. waiting for your full hearted return! are you hurt? what happened to your back? Thank you Sharmishtah. Not hurt just a permanent back pain which is very tiresome. 😔 seeing a new doctor tomorrow. Let’s hope for the best. Cheers! too many hours on computer in a bad posture? I used to have it in Kolkata, but after shifting here I have sliced down my hours on computer considerably, with that the back-ache and stiffness in legs is gone. start doing yoga, good for spine. I love your opening sentences; beautiful! Keep up the good work on the opening sentences. Thank you Timi. That makes sense. There was magic in those days. And seeing – now – the images of that old movie is like Time Travel. There are other songs on that record that I find quite lovely. I will try to post some more, and see if there are images. Have a lovely week-end, Memsahib ji. So that made me smile. Raj Kapoor is one of the most popular exports from India. My father-in-law who is a retired army man spent time in Russia during his years of service and heard many a Russian equate India to the land of Raj Kapoor and Mera Naam Joker. There is a certain simplicity and beauty to be had in those early films, in the mode of acting, the music and of course in the sensibility behind them. I am a fan. 🙂 Lovely post. To make a friend smile makes my day. 🙂 Strangely enough after 8 years of Pakistan my parents only had the one record, bought in Amsterdam of all places. 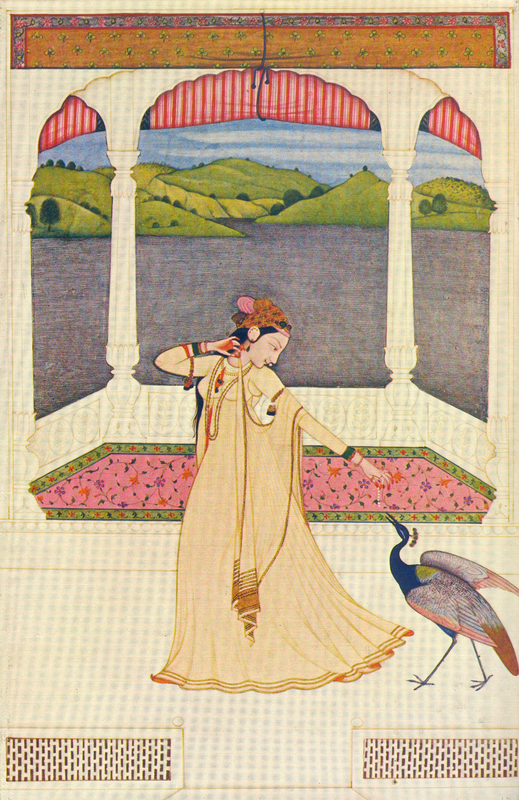 (Bilkul) I knew most songs by heart, but had never seen the images! Mera naam is one of my favourites, so when I looked it up on Google it was a revelation! And the simplicity and beauty you mention is similar to the “Golden age” Mexican cinema of the same time. Very weird. Amsterdam and Raj Kapoor. Indeed is an odd combination. The world never ceases to amaze you. I have a special place for all old (especially black & white and technicolour) movies. They just do not make them as they used to before. Cheers! There was romanticism there. The true blue feel of it. And as you put it, zero marketing or the peripheral jazz of movies today.